First full day in Dublin! 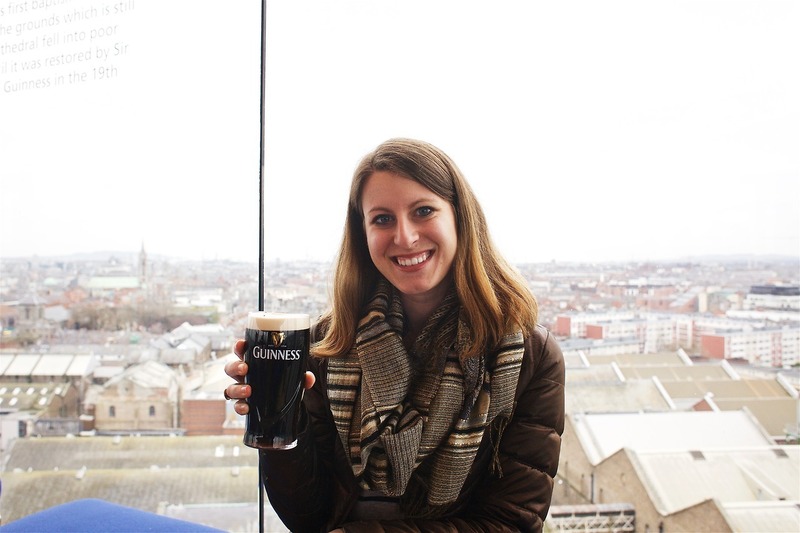 We ate some cereal at our AirBnB and then took the bus to go to the Guinness storehouse at St. James’s Gate Brewery which is the top tourist attraction in Ireland. At the start of the tour, you are standing in the world’s largest pint glass, which is seven stories high. At the base of the pint, the original lease on the land is kept in the glass floor. Arthur Guinness signed a lease on this land for 9,000 years, so safe to say he was confident in his dream is an understatement. 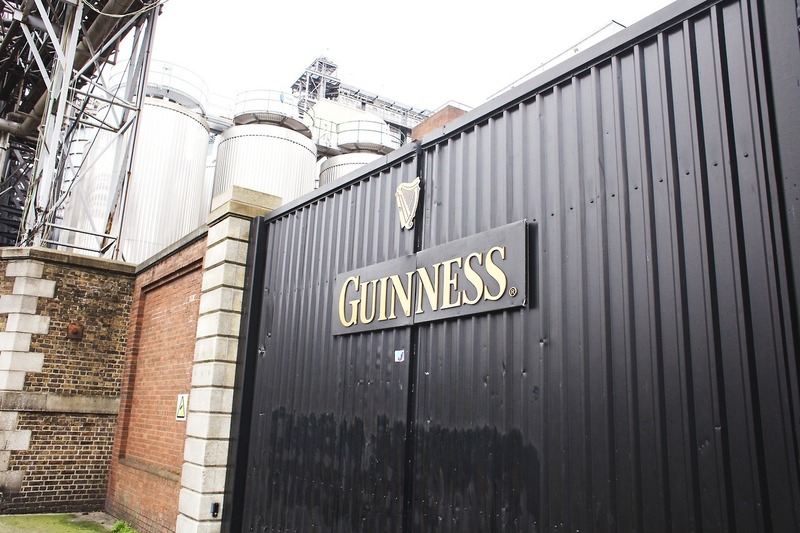 We walked through the levels and learned about the progression of the brewery and how Guinness beer is different from other beer in the way it is made, tastes, and is served. 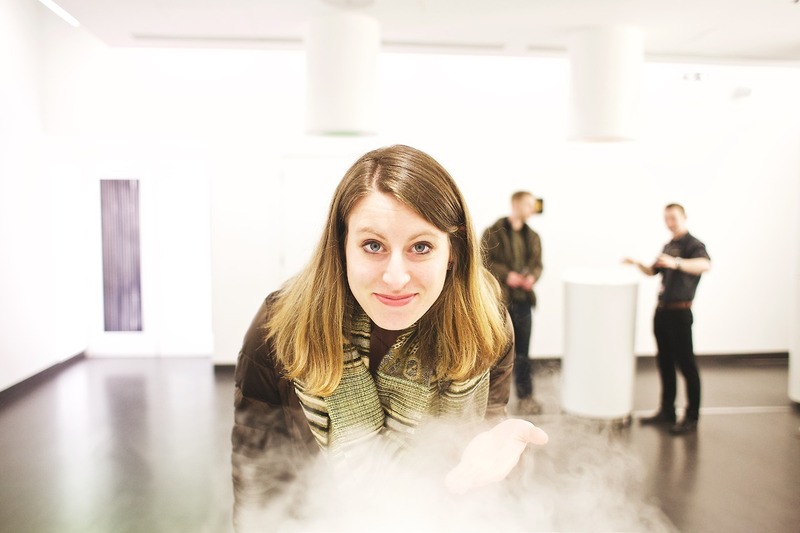 One room was dedicated to the sensory aspects of Guinness (they’re pretty serious about their beer). 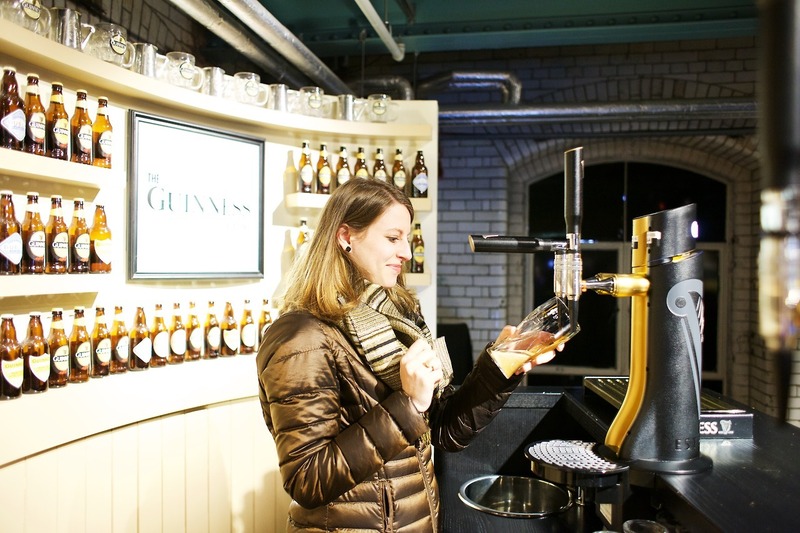 You would smell the four ingredients used in Guinness including water, barley, hops, and wheat, and then they would pour you a small tasting glass and teach you how to properly drink the Guinness to taste all of the specific flavors. We learned about the advertising, logos and characters, and distribution of Guinness throughout the world. Around 1.2 million barrels are produced at St. James’s Gate Brewery every year, and the crazy fact is that only ⅔ of their barrels are exported. That means that ⅓ of those barrels are consumed in the tiny country of Ireland! They love their Guinness. Towards the end of the tour, we got to learn how to pour a glass of Guinness like a pro and even got our very own certificate when we mastered it. 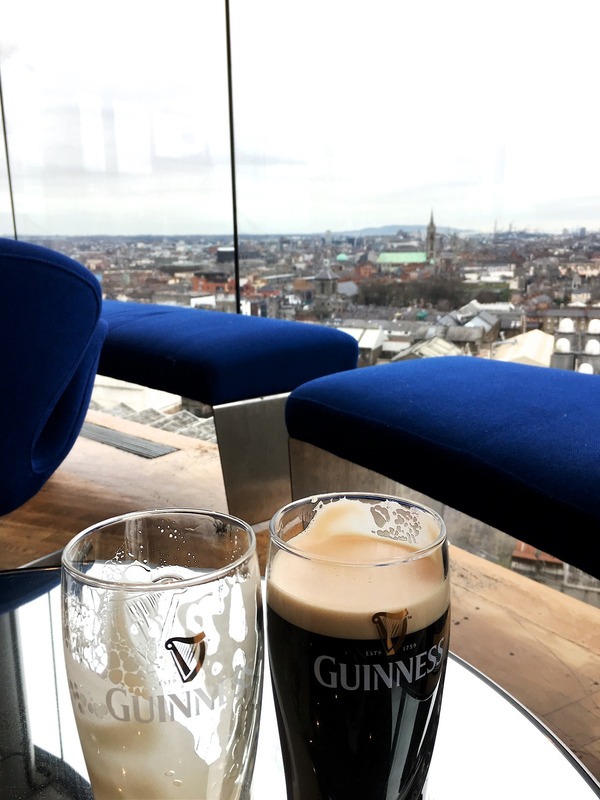 We took the beers that we poured up to the Gravity Bar on the top floor which has a 360° panoramic view of Dublin. 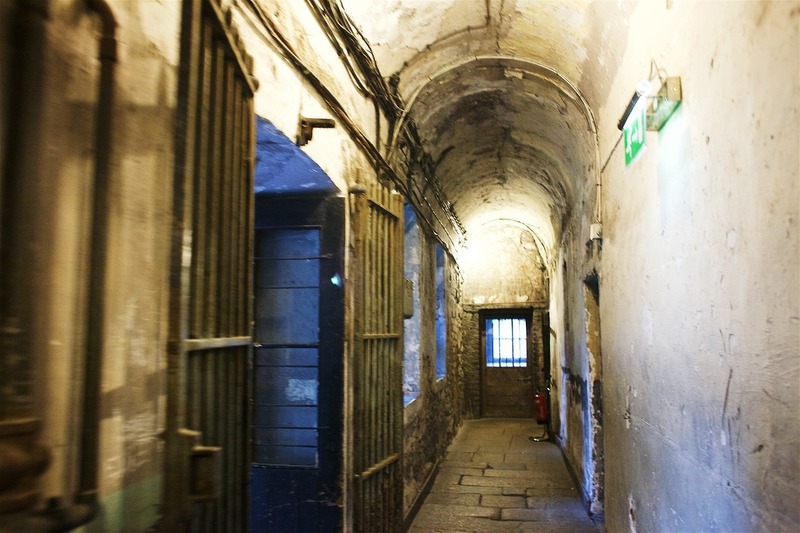 When we finished our beers, we then went to a tour at Kilmainham Gaol. 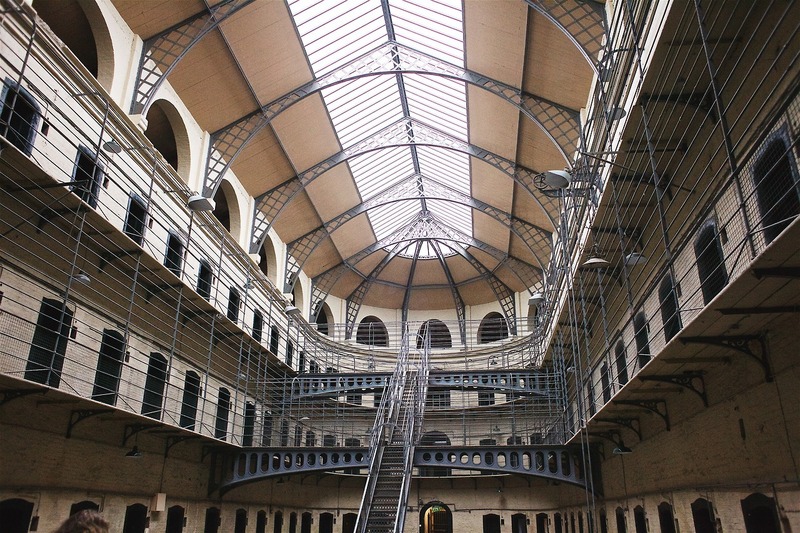 This prison plays a huge part in Ireland’s history, and we learned so much on this tour. Our guide was fantastic and it didn’t hurt that he had a super thick Irish accent. He told us stories of people that were held and executed in the jail, love stories in the jail, and stories of political significance. Many, many people died here due to famine, overcrowding, and public hangings that took place at the front of the building. Children were arrested for petty theft and the youngest recorded prisoner here was a seven year old boy. 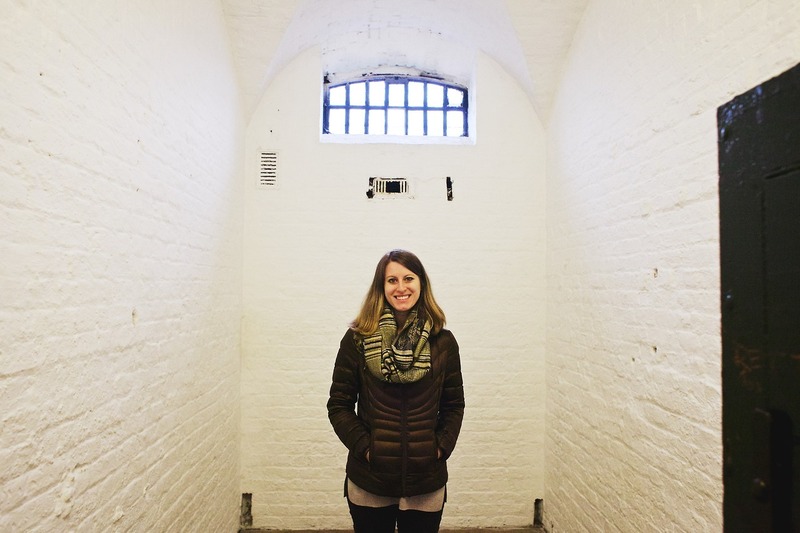 During the Rebellion of 1798, the main leaders of the uprising against Great Britain were all imprisoned and eventually executed here. We walked through the connected museum and saw letters, clothes, books, and lots of different artifacts from the prison. By the end, we really appreciated Ireland’s interesting history. Finally lunch time! We went to a restaurant called The Pieman Cafe in Temple Bar. I got a chicken, leek, and cheddar pie with mushy peas and Cole got a chicken and sausage stuffing pie with mashed potatoes. Everything was really tasty and I’m definitely a fan of mushy peas now. The bathroom was unavailable at the restaurant and we were still pretty cold, so we went to a closeby Starbucks and bought some coffee so we could use their bathroom. We also walked across the Ha’Penny Bridge, a famous white cast iron bridge, that crosses the River Liffey. Next stop for the day was St. Michan’s church. This is not a very popular tourist site, and it’s not the church that the few people come here to see, it’s what lies underneath…mummies! We saw a 400, 600, and even 800 year old mummy in one of the crypts. The 800 year old mummy is estimated at being 6 and a half feet tall, which was a giant back then, and you can see where his feet were broken so that he could fit in the coffin. One was definitely a smaller woman and you could still see her toenails. The limestone in the walls is the biggest factor for the prime conditions for the mummification process. The Sheares brothers, who played a role in the Rebellion of 1798, are also buried here with a small memorial. The last place to see today was the Book of Kells exhibit and the Long Room at Trinity College. The Book of Kells contains the first four gospels in Latin with hand drawn embellishments. The book was handwritten in a Columban monastery in Ireland around 800 AD and we read about the influence and the techniques used to write it. We didn’t get to take any pictures, but it was neat to see a piece of significant history sitting in front of us. Continuing through the rooms, we entered the Long Room, a part of the Trinity College library which is the largest library in Ireland. Over 200,000 of the oldest books are kept in this room, and as soon as you walk in the doors, the smell of old books is almost overwhelming, in a good way. Marble busts of famous philosophers and writers line the room, including Jonathan Swift. The Trinity College harp is also kept here, and fun fact, this harp was the inspiration for the Guinness logo. We went back to our room for a little before heading out for dinner. We went to an Irish pub called Darkey Kelly’s, and we had never felt more Irish spirit than here. A local band played while we were also entertained by the four drunk, yelling Irishmen at the bar. I ordered beef and Guinness stew with a strawberry lime cider and Cole got the classic fish and chips with a beer. It was probably the best comfort food we had on the trip. With full bellies, we went back to our room and relaxed for a while before going to sleep.